I started this blog in January of 2013, as a way of encouraging others in their daily walk with God. Many of the topics that I post are on issues that I deal with myself. I am not perfect, but I believe that God gave me a message to give to others who struggle in their walk with God. God gave me a voice to encourage and empower others who may be ready to give up. NEVER GIVE UP! JESUS LOVES YOU! I am passionate about building an intentional community of single moms who follow Jesus. My goal is to build a community of single moms who disciple each other, encourage each other, serve each other, pray for each other, read through the Bible together and fellowship together. There is so much hate in this world and too many times we turn on each other and tear each other down. We, as single moms, should be building each other up and loving each other despite our differences and imperfections. Jesus never asked if we were worthy enough before He died for us. We are ALL worthy of mercy, respect and compassion. We are worthy of experiencing that same love that Jesus freely gives to ALL of us. We, as single moms, have to stand together. In every community there are single moms who are dealing with domestic abuse, the effects of child abuse, addictions, poverty, oppression, and other issues that make life as a single mom a constant struggle. By our silence, we are saying that these women, these beautiful moms, who are suffering aren’t worthy of our time and effort. We need to STOP THE SILENCE and start raising our voices for our SISTERS! We ARE sisters! We need to stand in UNITY and BE THAT EXAMPLE OF JESUS IN A WORLD THAT IS FALLING APART! I also try to encourage others to be that example of Jesus in their daily lives. I am passionate about fighting for justice for those who can’t fight for themselves. I am passionate about giving a voice to those who have no voice. I am passionate about speaking the truth of God’s Word to a society that cares more about self gratification than helping those in need. I am passionate about following Jesus. I have a message for the church: If we really are living in the end times, then why aren’t we doing more to live as God wants us to live? Why aren’t we tearing down those denominational lines that divide us? Why aren’t we showing compassion to those who are hurting? Why aren’t we sharing our blessings with those in need? Why aren’t we loving others to Jesus? Why aren’t we sharing the best thing in our lives with others? 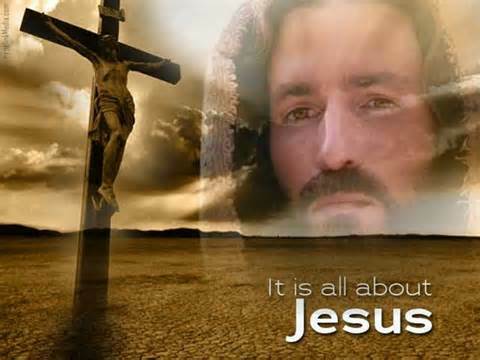 It is all about JESUS and that is what you will find here. *Disclaimer: Many of the images found in my posts are taken from Google or Yahoo images. I do not in any way claim that they are mine and if there is ever any issue, I am always more than willing to give credit where credit is due. Since these images are used multiple times on the internet, it is hard to find the true owner. If you or someone you know is the owner of any image on my blog, let me know and credit will be given in that post. Thank you for your understanding.